If you are a work from home business owner there are many good reasons to utilize a virtual address and mailbox service. Despite the convenience of working from your home office, the fact that you do not have a physical presence to your business definitely has its downfalls. From professional image and credibility to the protection of personal privacy, as we will explore now, the virtual office address can solve all of these issues and more. If all your correspondence is being addressed to your home address out in the suburbs it will not look professional. It can be detrimental to new clients and custom if they think that your business is being run by a one-man-band out in the middle of nowhere. Using your home address doesn’t look credible. A virtual office address used through a mail-fowarding service solves this. You can take advantage of this company address on your business cards, website, and marketing materials. It is also more professional to have a business address for postal mail and package forwarding. The end result is more credibility for your business and more confidence from your customers. This is another important reason to opt for a virtual address rather you’re your home address. Why would you want the address of your house being made so public? Do you want customers and clients (happy or otherwise) turning up at your door? Using your home address could also exposes you to cyber security threats and identity theft. Furthermore, business applications such as email marketing services normally require an address in the bottom of all emails. Do you really feel comfortable using your home address for that? A virtual address solves all of these privacy issues. When using a virtual office address you can ship and receive packages no matter where you are in the world. It is fast, efficient and secure. The service you use will handle your mail with high security and privacy. 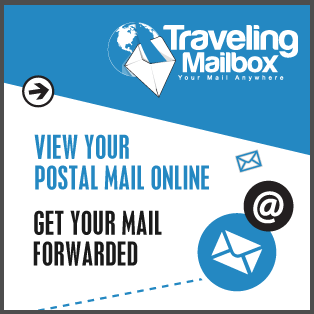 Using the provided online interface you can have your mail and packages forwarded on to any location you require; and all from the convenience of your laptop or phone. The majority of mail-forwarding services will scan your mail and securely upload it to the cloud. This means you can have immediate access to your correspondence wherever you happen to be as long as you have internet connection. This also means you have backup of all your important documents in digital form using the cloud storage that the service provides. You can request the relevant mail to be forwarded to your home address and any junk or unwanted mail to be shredded. Overall, a virtual office address and mail-forwarding service will streamline your administrative tasks when it comes to snail mail and package delivery. Your mail is conveniently located in one place and you will avoid receiving annoying junk mail to your home address. Important correspondence will be treated securely and as the point above expressed, will be made available to you immediately via the cloud. Furthermore, with the shredding service that is often available you can be confident that your mail is discarded of in an efficient and secure manner.